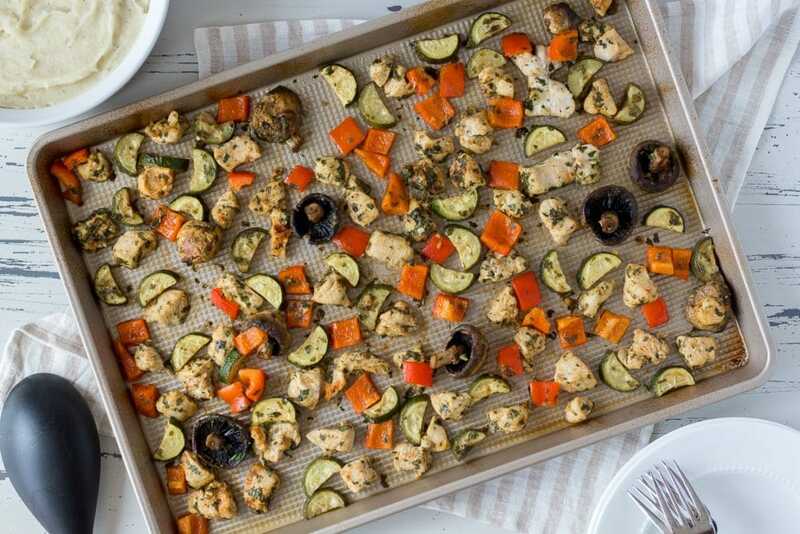 Chop chicken, zucchini and bell peppers in to SMALL bite size pieces and add to large zipper bag along with mushrooms. Add next 10 ingredients to blender and pulse until greens are chopped but not liquified and pour over chicken mixture. Zip bag and shake to mix well. Scoop chicken mixture onto a large baking sheet sprayed with non stick spray. Discard any remaining liquid. Bake in a 400 degree oven for 20-25 minutes. Check it around 15 minutes to make sure chicken is not overcooking.